Experts / senior volunteers will share their knowledge. Honeybee’s importance for environment life cycle. How honey will help in pollination? How honey created and its usefulness for us. 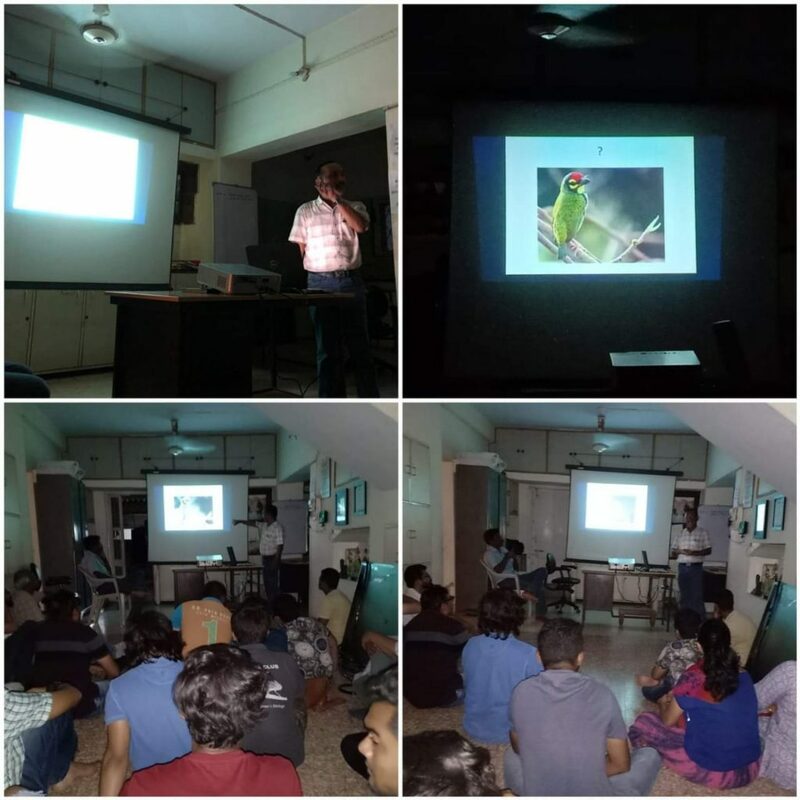 Prof. Anil Bhatt has very nicely and thoroughly explained about the common birds we can observe in nearby areas of Surat. He has started with the common birds such as House sparrow, Crow, Myna, Bulbul, parrots etc. and taken us to the beautiful birds such as Copper smith barbet, Kingfisher, Greenbeeeater, Sikara, Wetland birds like Pond Heron, Egret etc. and many more. The session was really very much effective for new bird watchers as well as for old volunteers.